The huge “tax cuts” and “taxpayer funded subsidies” Gov. Snyder and the Republican controlled legislature gave to their big businesses buddies isn’t enough to keep companies from eliminating jobs and or leaving the state such as Pulte Homes did with their move to Atlanta last year. When you balance those cuts for big business and replace that lost revenue on the backs of Michigan’s taxpaying citizens you take away their disposable income as to spend on these same companies products. The PulteGroup is one of the nation’s largest home building companies. Pulte reached a point where they must pursue a strategy that better fits with the long-term growth trends for their company and industry that wasn’t here in Michigan. Spin is the key word here goes right along with Snyder’s spin that Michigan is the “Comeback State” when businesses continue to cut jobs and or leave the state! 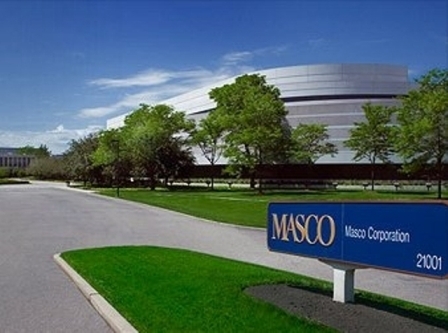 Based on the MEDC’s recommendation, the MEGA board today approved two state tax credits to “bribe” Masco to stay in Michigan over a competing site in Ohio with a “taxpayer funded” $7.3 million tax credit over 10 years to encourage the company to create new jobs and a $5.7 million “taxpayer funded” tax credit over 10 years to encourage the company to retain jobs. Will Masco Corporation follow PulteGroup out of Michigan? This article was published in The Bain Report on Jun 7, 2013. A close friend does custom glass work for Masco and alerted me to this story last year.